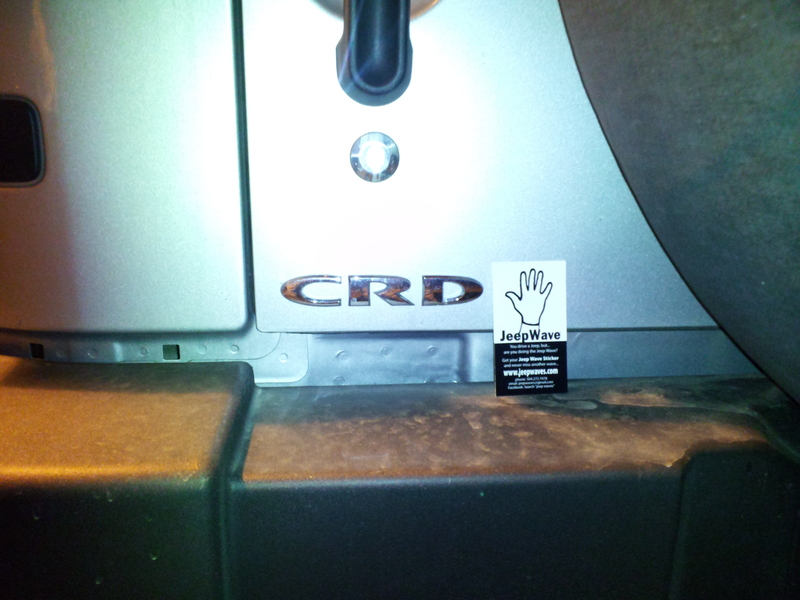 Spotted this Jeep Wrangler Unlimited with the marking ‘CRD’ on the rear left tonight. Looked like a beast with an elongated front bumper (maybe for a winch?) and the fog lights pushed way out to the side. I’m sure everyone has fingers crossed that this is a new model for next year. It would sure look good with a Jeep Wave Sticker on it!